Philodendron Xanadu is an ornamental indoor house plant. A Xanadu is often wider than it is tall, reaching a height of 2 – 4 ft and a width of 3-5ft in ideal conditions. It has small, shiny, deeply lobed leaves on slender glossy green stems that emerge from the base to form a clumping mound. Aerial roots are produced along the stem, these assist the plant is spreading. Philodendron filter airborne toxins such as such as formaldehyde, benzene, and trichloroethylene from the atmosphere. Philodendron Xanadu plants are considered poisonous and should be kept away from pets and children. It grows best in the bright indirect light. In lower light, the leaves turn a darker green and too much of direct sunlight burns or fade the leaves. 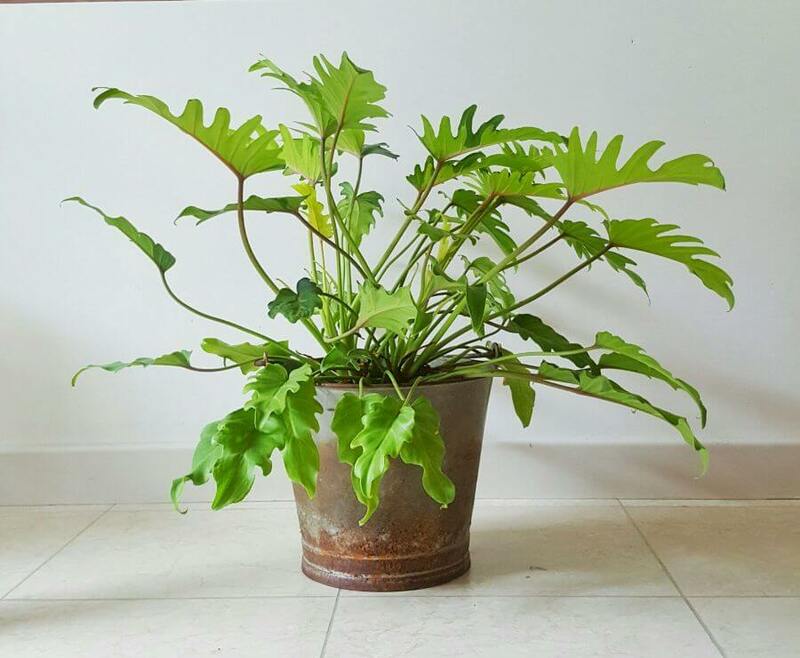 Philodendron Xanadu grows best in rich, well-drained, slightly alkaline soil. The leaf tips of a Xanadu Philodendron burn if there is too much salt in the soil usually due to over-feeding. It requires a more humid environment to flourish. If your home or office is very dry in the winter, place your Philodendron Xanadu near a humidifier or sit it on a wet pebble tray. It prefers room temperatures above 55ºF / 12ºC in winter and above 70ºF / 21ºC in summer. Fertilize your plant monthly in the spring and summer with a diluted liquid fertilizer. Don’t fertilize during the winter season. Too much plant food causes excess salt build up in the soil that can result in leaf burn. It can be easily propagated by stem cuttings. Dip the cut end of the stem in a little rooting hormone to increase the chance of success. Prune a tree philodendron with sharp pruners or scissors to control its size and shape. You can expel whole leaves be cutting them off at the base of the leaf stem. Wear gloves when pruning a Cut-leaf Philodendron and wash your hands and tools when finished, you do not want to get the sap in your eyes or mouth. There is no serious pest or disease problems. Watch for Aphids, Mealy Bugs, scale, and spider mites. If any of these plant pests infect your plant, spray the entire plant with warm soapy water or the green solution.